It’s Day 2 of the U.S. government shutdown. While the media blares about congressional politics and occasionally offers a run-down of what the shutdown may or may not mean for the average Joe, the impacts of the shutdown on science are not generally noted. Notice that I said ‘science’ and not ‘U.S. science’ because this shutdown affects scientists around the globe. For starters, all the federal grant-making agencies are shut. This means no processing of grants, no review of proposals. Everything grinds to a halt. At best, it causes delays. But at worst, it means important science that depends on continuity gets interrupted, forcing some scientists to start their experiments over from scratch; for expensive experiments, it could mean a death knell. Other research that depends on getting funding before a field season may be delayed a year even if the government is shut down for only a few days. Much of U.S. science is actually done by government employees. One agency, the United States Geological Survey, employs (oh, I can’t look up the number; the website is shut down; let’s just say “many thousands of”) scientists who work on topics like climate, ecosystems, earthquakes, and water quality. While some of these employees — like those who monitor for earthquakes, for example — will keep working as “essential” employees, most are furloughed. They get sent home with no pay and are forbidden by law to do any science. Forbidden. It’s a felony to work when furloughed. This hits home for me, as my husband is a post-doctoral geologist with the the U.S. Geological Survey and we are going without three-quarters of our household income for the length of the shutdown. 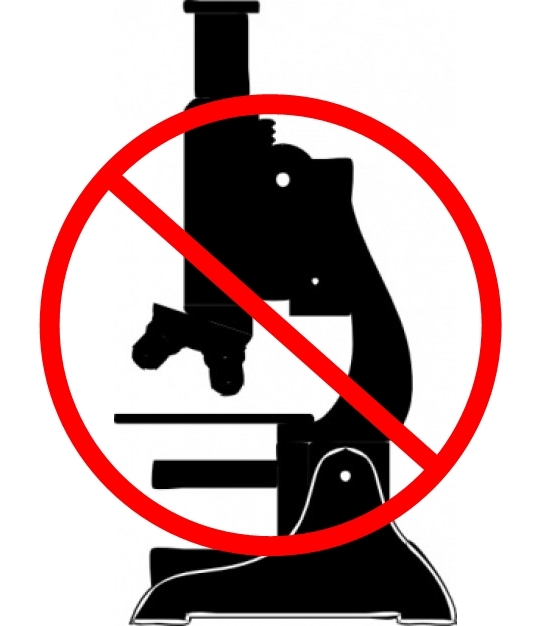 In addition to the direct impacts of the shutdown on government funding agencies and on government scientists, many more scientists are indirectly affected by issues of access. I am a fellow at the Smithsonian Institution’s National Museum of Natural History in Washington D.C., but I am employed by the University of Minnesota. The Smithsonian, being a quasi-governmental organization, is shut down. Most of the Smithsonian’s scientists are furloughed. (The folks in the entomology department, where I spend my time, are many of the ones that describe new species of insects previously unknown to science. No new species for a while, everyone. Sorry.) And on top of that, even people who aren’t employees of the Smithsonian (like me) cannot do their work, because they can’t get into the building. I know of visitors from other countries who came to visit the Museum for a few weeks to do research. But they can’t get in. There are many, many scientists all over the world who collaborate with U.S. government scientists, who depend on U.S. government funding, and who use U.S. federal facilities. All these people are feeling the negative effects of the shutdown and aren’t able to get their science done. Reblogged this on Spocki's World. As I understand it, Romney lost the election, but now the Republicans won’t pass the budget unless his policies are put into place anyway. WTF? The bulldozers seem to have started to work in the northern Serengeti to build the road that will bisect the Park. What is your educated guess on it? Do you think it will have an impact similar to the fences in the Kalahari (ending the migration)? Everyone in the scientific/conservation community seems to be rather horrified by this, but apparently the Tanzanian government has decided to go ahead with the plans. I am a journo, and have written about it before, but this is out of personal interest. The new Serengeti road will have very little impact on the park or on the migration. A paved southern bypass is currently under construction (with funding from the German Government) that will draw all the high-speed traffic and heavy lorries well outside the national park. This southern route will serve the larger development needs of the nation and become the primary transit route from Mwanza to Arusha. The northern route, in contrast, will be a two-lane dirt road under the management of the National Park that will only be open during daylight hours. This road will primarily serve to connect bordering communities that have been isolated from each other for the past 50 yrs. A dirt road already runs thru the Serengeti, and the northern road will divert much of the local traffic away from the current route thru Seronera and the Western Corridor of the national park. There are already several examples /studies on the internet for reference on forced changing of migration patterns or feeding trails and none of it is good. With out writing a dissertation, there are specific reasons why animals follow a single trail to watering holes or feeding lands and it is not always the shortest distance between two points. There are hazards and predators to avoid, flash floods to stay out of, etc. Add to that a disturbance of land by man and you end up with more issues for the animals to worry about…… cars and trucks running them over, eating spoiled food thrown out on the side of the road, intentional hunting of animals from the roadside, this is just to name a few of the possibilities. One possible aide to the encroachment of man upon the animals is to flag trails during the clearing process and building culverts with correctly sized animal crossing tunnels during the construction process to leave animals a “semi natural” path for them to use. (correct sized- a deer needs more tunnel clearance than a rabbit. ) Of course I am no expert on the subject. Don Young’s shutdown has many ripples. He should help force a vote on a clean CR and scientists back to work.